Often it seems a passion for climbing can draw people away from their loved ones, but for Kristine & myself it has brought us together. When we began climbing with each other, ten years ago, it became the basis of our friendship. Now having been married for 3 ½ years, the level of trust for and understanding of one another gained through climbing remains at the core of our relationship. Working towards climbing the Seven Summits has been an extraordinary goal that we have set our sights on. It has brought us around the world, introduced us to amazing new friends, and hopefully inspired others to find their passion and share it with those they love. Although Kristine and myself have summited all but Kilimanjaro unguided (Kili requires a guide), we are by no means professional climbers. I am a mechanical engineer at a small architectural engineering firm in Avon, Colorado and Kristine is a fourth grade teacher at the public elementary school in Vail. In addition to the challenges of the climbs themselves, we have also overcome the complexities of balancing our climbing goals with maintaining our careers and meeting the financial demands of these mountains. 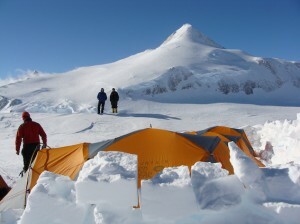 Having already summited six of the Seven Summits together, if we reach the summit of Mt. Vinson we will be one of only a handful of couples, perhaps the youngest, in the world to complete the Seven Summits. Mt. Vinson is the highest mountain on the continent of Antarctica at 16,066 feet (4,897 meters). 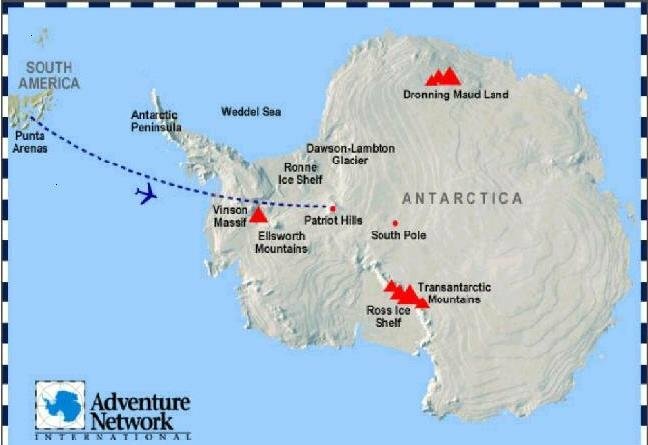 Located in the Sentinel Range it is part of the Ellsworth Mountains near the Ronne Ice Shelf south of the Antarctic Peninsula. 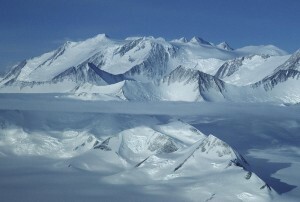 Mount Vinson sits over 750 miles (1,200 kilometers) from the South Pole. 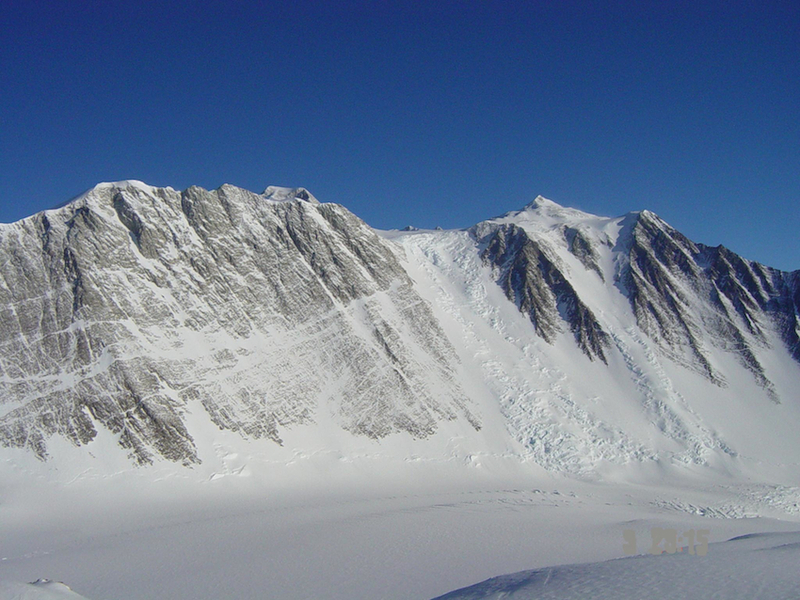 Climbed for the first time in 1966, Vinson still sees very few visitors and remains a pristine and majestic peak. 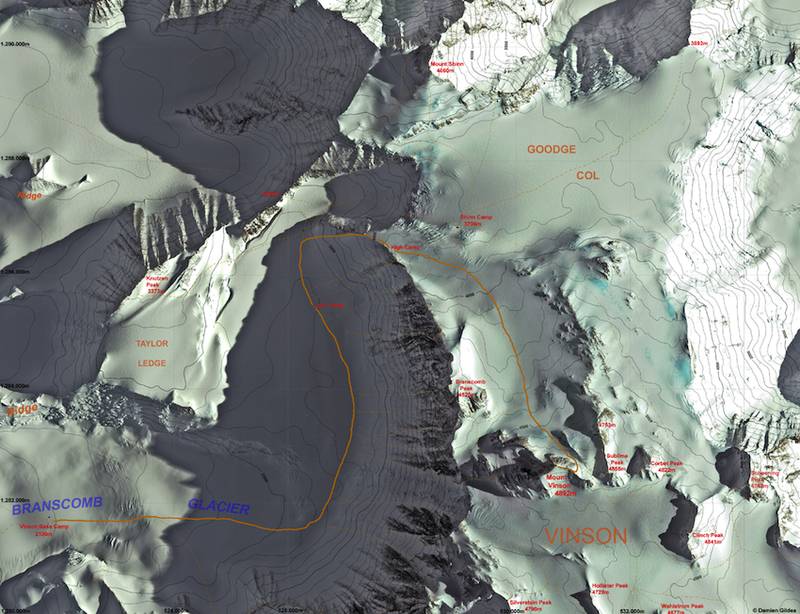 Vinson was the last discovered, last named, and last climbed of the Seven Summits. 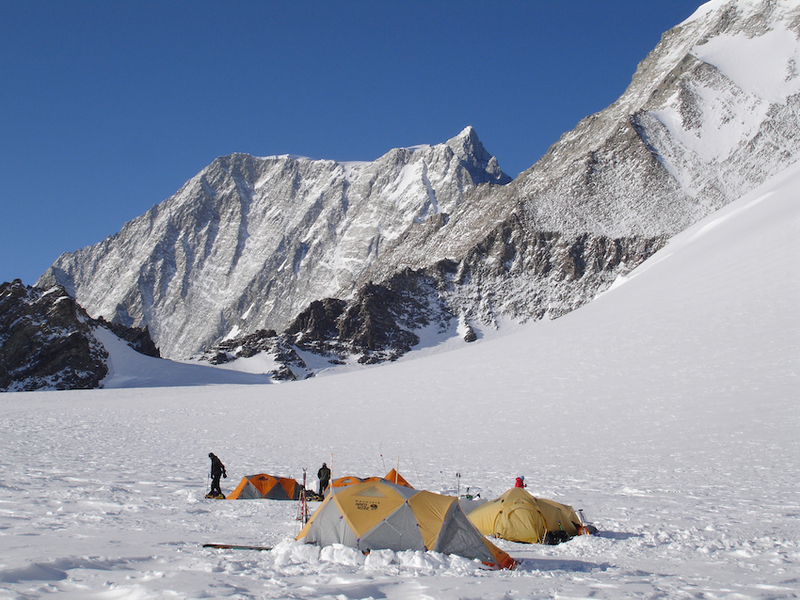 It’s also the most remote, most expensive, and coldest of the Seven Summits to climb. Due to the challenges that Vinson poses it will be a difficult summit to accomplish, yet this is a challenge we look forward to and expect to be most rewarding. Departing mid-December 2013 we plan to allow three weeks (including travel) to ascend the west side of Mt. Vinson. To reach this remote area of the world, Kristine and I will fly from Punta Arenas, Chile to Patriot Hills, a permanent scientific outpost. 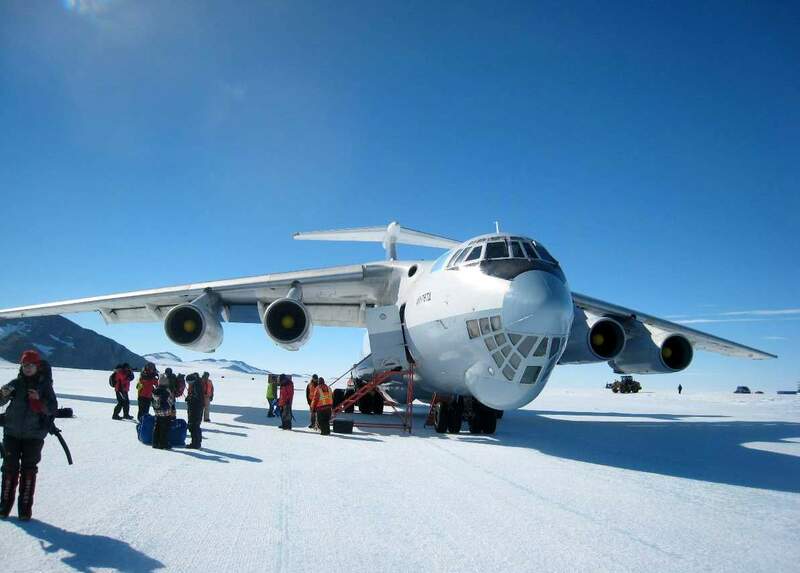 A short flight then brings us to Vinson Base Camp on the Branscomb Glacier in the Ellsworth Mountains. 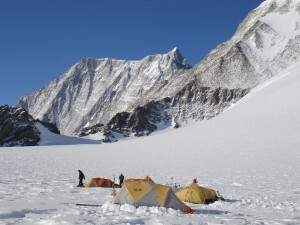 From here the route ascends the Branscomb Glacier and climbs the headwall on Vinson establishing two camps along the way. It would be impossible for us to reach the goal of climbing the Seven Summits together without the financial support of family, friends, and sponsors, and we respectfully ask you for your favorable consideration with any financial assistance that you could spare in helping us reach this goal. We greatly appreciate any and all levels of donations, and would like to offer the following plans to individuals and/or companies who wish to receive publicity through sponsorship. Again, we sincerely thank you for your consideration. • Company logo will be included on promotional materials and presentations of slideshows upon returning from Mt. Vinson. • We will wear a patch with your company logo and/or carry a flag for summit photos upon a successful climb. • After the expedition an ad will run in the Vail Daily thanking key sponsors and including your company logo and name. • Company logo will be printed in all publications that highlight our expedition. • Slideshow presentation of our climb for your company upon returning from Mt. Vinson. If presentation will take place outside of the state of Colorado, airfare will need to be funded by sponsor. • Guided climb – We will lead a team building, guided trip up an agreed upon Colorado 14er for your company and employees. • Title sponsorship – Your company name will be included in expedition title. To help make our dream of climbing Vinson become a reality, please click on the PayPal link below and make a donation. Once on the page below, if you wish to make a donation, please enter the amount of your donation and click ‘update total’. If you already have a PayPal account, you can then log on to your account and pay through your account. If you do not have a PayPal account and do not wish to set one up, you can pay via credit card/checking account/savings account. the 7 Summits together come true! Thanks to the following people & corporations for contributing to Brandon & Kristine’s 2010 Everest Fund!